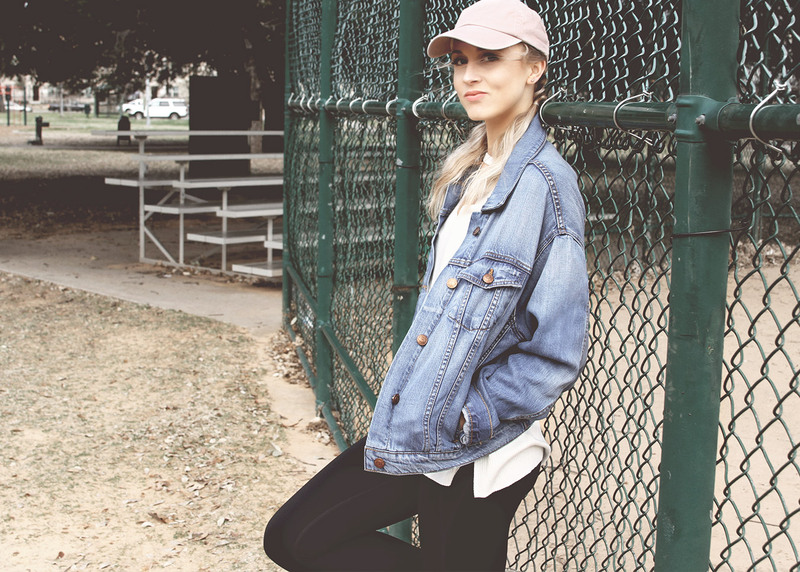 The athleisure trend is perhaps the most fun when you give it your own twist. This street style look maintains athletic cuts and a comfortable fit, while still being classically feminine. 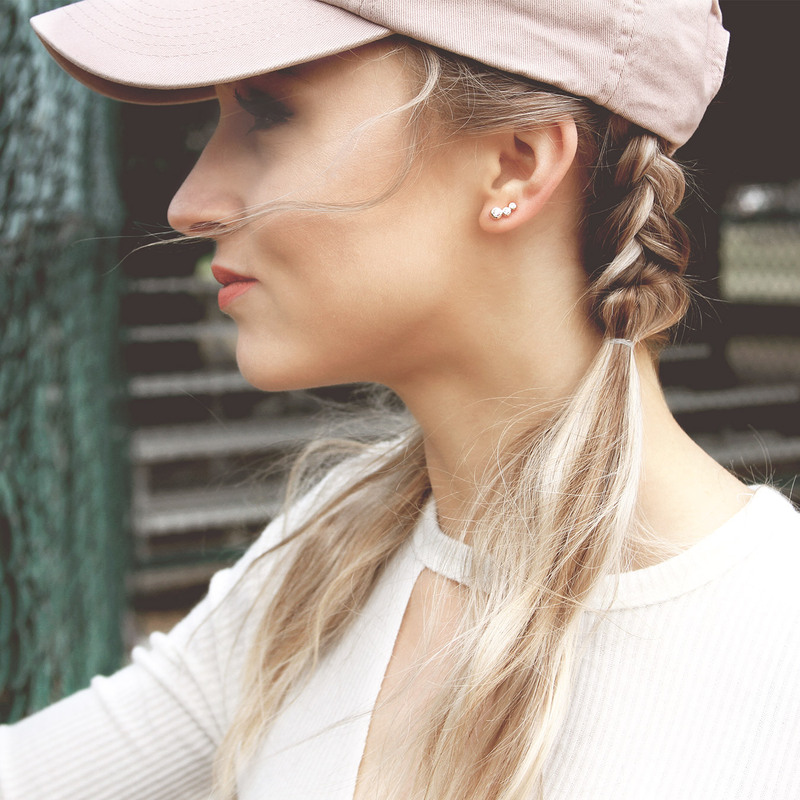 Use pastel tones in accessories (like this baseball hat) or cute cutouts (like this long-sleeve tee) to add a girly edge to an athletic look. The over-sized denim jacket is the final touch to create a silhouette.